There are multi-million dollar homes for sale all across the Charlotte area, but none quite like one in Fort Mill. FORT MILL, S.C. — There are multi-million dollar homes for sale all across the Charlotte area, but none quite like one in Fort Mill. It’s a $2.5 million dollar home sitting on 1.5 acres in the Fort Mill River District. It’s over 12,000 square feet with six bedrooms and nine bathrooms, but it’s what’s downstairs in the basement that transports you into a whole other world. Jim and Kris Duffy built their stunning mansion in Fort Mill's River District in 2016. It's complete with six bedrooms, nine bathrooms and its own functioning village in the basement. Jim and Kris Duffy built this house in 2016 and built a fully functioning village in the basement, set in the 1960s, with a toy store, arcade, soda shop, pub, and movie theater. The Duffys say they’re selling to be closer to their son in Orlando. 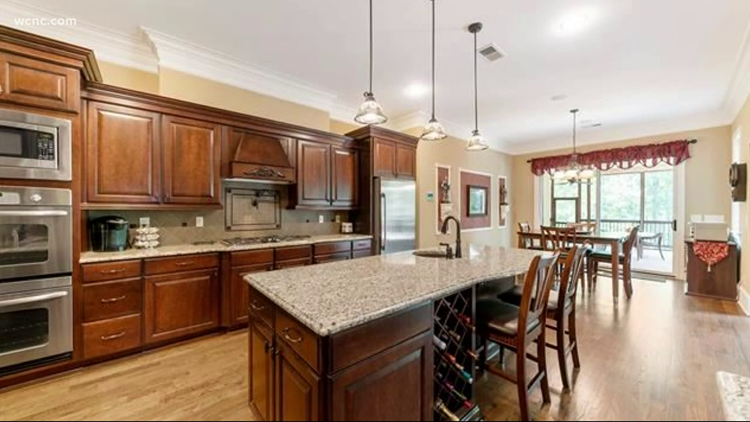 Now, buyers can have all of this, what the Duffy’s consider the perfect place to entertain. Now the two main floors are equally as impressive, with multiple wings and kitchens and home offices. But you can’t just show up here for an open house. Those interested must be financially pre-qualified to walk through here.